Being healthy is a choice of life that everyone must opt for. These days there is an increase in many problems such as obesity, diabetes, and hypertension etc. which are termed as lifestyle diseases. This is so because most of them stem from the way we choose to lead our lives these days. We lead a sedentary life, with most of us having sitting jobs. Being chained to our desk, very few opportunities of physical labour are presented to us. This in turn leads to weight gain. Our eating habits add fuel to fire, thus increasing our chance of getting obese. Everyone knows what follows that! We can break this vicious cycle by adopting a healthier life style- eating healthy food at the right time, Yoga, and physical exercises are a few ways to do that. Most people prefer gyms to work out and tone their bodies. Since long and irregular working hours cannot be changed according to our will, people choose the Gym way to be healthy and fit. This, therefore presents a wonderful business opportunity. It is one of the fastest growing sector in India, with an expected growth of 20-30% annually. If you wish to start a business venture in this particular field, here is a list of best 10 gym franchises opportunities in India. Having established in 2003, this European fitness brand offers age specific fitness classes for everyone- kids, adults and even toddlers! This is a low cost, high on return business, which offers not just fitness but also self-defence classes. It also provides excellent franchise support to investors. The requirements are to the tune of 5 Crore and above and a space of 2000-2500 sq. ft.
As the name specifies, this gym is open 24 hrs! The first of its kinds, it has more than 2000 clubs across the world. With an investment of 1-2 crores, and a 2500-5000 sq. ft. area,you can start your business. They even offer support to the start-up with site selection and lease negotiation. A public listed company, it is a leader in fitness industry with more than 150 branches across the country. Delivering on the promise for a fitter body has made them a recognised brand today. The products are affordable making it a profitable venture. The requirements are 1-2 crores and 3500 sq. ft. of area. One of the fastest developing international gym chain in India, it has the experience of more than 45 years in this business. 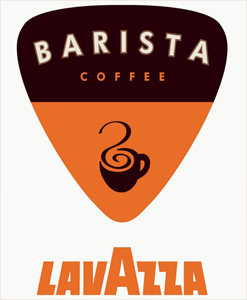 It is a recognised brand thanks to celebrity endorsements. They plan to expand pan-India. The investment requirements are 1-2 crore INR and a space of 7000-20000 sq. ft. area. Requiring an investment of 1-2 crore and a space of 2200-8000 sq. ft. it offers a huge range of services for fitness enthusiasts under its roof. Though relatively new, it has earned its respect among its clients. One of the relatively new entrants in the market, it is a US based franchise which plans to expand nationwide. Clients need to exercise for a mere 20 minutes, that too twice a week. The personal training sessions can be one-on-one, partner or small group. The investment requirements are in the bracket of 1-2 crore INR. One of the affordable franchise, requiring an investment of 30-50 lac INR, it has the best fitness machinery as well as qualified trainers to help you work out. Programs are specifically designed according to the age and fitness condition of the client. The franchise started by WWE wrestler Dilip Singh Rana or The Great Khali requires an area of 3500-8000 sq. ft. and an investment of 1-2 crore INR. They plan to expand pan-India which offers a unique investment opportunity. Launched in 2015, it is slowly and steadily growing into a big franchise. The current investment requirements are 1-2 crore INR. It focuses on calisthenic and functional training which is quite addictive. Yo! China is popular Chinese food franchise loved by the people of India. Yo!China is the largest chain of Chinese restaurants in India. It has more than 50 restaurants and delivery outlets throughout India in around 14 cities. To know more about this franchise keep reading. 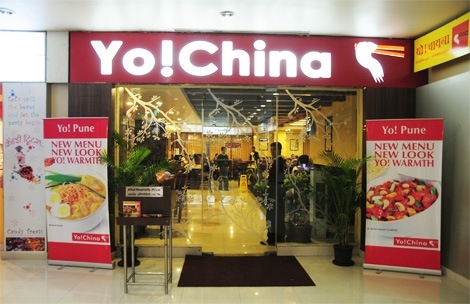 Is Yo!China franchise a good business option in India? Yo! China is a popular fast food franchise with good return on investment in a short amount of time. The menu has a lot to offer which entices all type of customers and as we all know that Chinese food is loved in India. The factors that are really enticing about this franchise are good marketing and advertising support. Manpower training is provided by the company. It is a 100% non-pestering franchise. You can be assured about safe and zero risk investment. It has a considerable ROI and the best part is that you start earning from the very first day. The total investment required to start a Yo! China franchise will be around Rs. 50 lakhs to 1 crore. This investment is inclusive of the franchise fee of Rs 1.3 lakhs, furniture and fixture required for holding, advertising and marketing. According to these estimate a capital investment of 2.6 lakhs will be needed. The expected ROI of franchise will start after a period of around 12 to 14 months which is the breakeven point. The company provides training program to assist the franchisee. Software/Hardware support is available and its cost is included in franchise fee. The minimum land requirement for this franchise is 55 to 60 square feet. The agreement with Yo China is renewable. Company provides site select help to get the best place in the town for the outlet. Estimated ROI is 100%, and fast food franchises are always a boon in India with the growing demand. You can start the franchise for Yo! China in all the regions of India be it central, southern, northern, eastern and western. The food chain guides you to choose the best location and city for starting the restaurant. You can start Yo! China franchise in any of the following states or Union Territories of India. AromaThai Foot Spa is one of the best beauty franchises in India. It is a popular massage parlour and is considered the favourite among all Thai spas in India. AromaThai has a good reputation among the beauty industry ever since it was started in the year 2008. For those of you who want to start Aroma Thai spa franchise in India, beauty parlour or spa all the details regarding the franchise costs, area requirements, return on investments and contact details are given below. Is spa franchise a successful business idea in India? Spa business is perfect for those who don’t want to invest crazy crores and yet want to start a profitable franchise. The popularity of spas has grown in India in the past decade even though spas have been a part of the fashion industry from a long time. There is absolutely no doubt in the fact that spa franchises are an extremely profitable business in India. All the spas are doing quite well in India. Both men and women are keen on going to spas for glowing skin and relaxing massages. Everybody knows that spa is a natural way to look younger and brighter. People not only from the rich societies but also from the middle class societies are accepting spas as a beauty treatment now days. In such a scenario spa franchise is has a bright future and scope of flourishing and AromaThai is one of the best and most profitable options to start with is one of the best and most profitable options to start in this field. The investment required to start AromaThai franchise has not been stated anywhere on the official website. AromaThai franchise provides various packages of investment which you can choose from. The investment required to start this franchise will vary roughly from 50 lakh to 1 crore rupees. Nothing has been mentioned about the land requirements either. According to a rough estimate made on the basis of sources the land requirement to start AromaThai franchise is 500 sq ft.
AromaThai has a franchise fee of Rs 15,000 and this has been clearly mentioned in the IFA franchise business guide. Unit franchises will not have exclusive territorial rights. The estimated ROI of AromaThai franchise is 35%, and the expected payback period of the capital is around 1-2 years. The franchise term doesn’t need to be renewed and is for lifetime. Application process is quite easy to follow. All you need to do is go to the official website of AromaThai foot spa, click on franchise and from there select franchise form. Fill up all the details that are asked in the form like your personal details, investment range, preferred location, etc. If the management thinks you are eligible to become a franchisee of AromaThai Foot Spa then they will contact you to discuss further. Apollo Clinic franchise is the most popular health franchise in India. This is not only known for its quality of medical facilities but is also known for the big brand name that it is when it comes to profit. Following is all the information you need to know about Apollo Clinic for starting this franchise. Why take a franchise of Apollo Clinic? According to the information provided by the official website of Apollo Clinic, the success rate of this franchise in India is 85%. 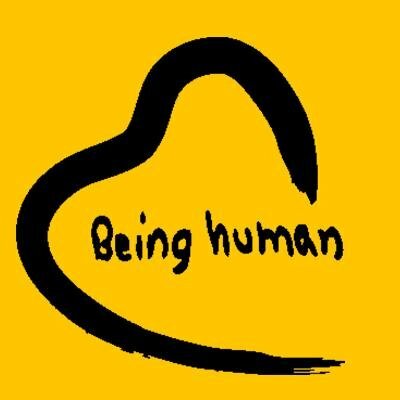 This franchise is not only popular in India but also has a great reputation in US. Apollo Clinic is in itself such a big brand name that you will not only get the benefits and reputation of being a franchisee of such a big health centre but also get the advantages of owning your own business. The business risk is negligible as Apollo is a well known name in the health industry. Andhra Pradesh, West Bengal, Orissa, Bihar, Jharkhand and some north east states have good opportunities for Apollo franchise in India. These states have a lot of large cities as well as tier II cities in need of good health facilities. Since the brand name of Apollo has huge popularity therefore the investment is also huge. The return on investment is also estimated to be good. The fields of medicine covered by Apollo Clinic are Gynaecology, Paediatrics, Cardiology and general medicine. Doctors are available for dentistry, gastroenterology, urology, dermatology, orthopaedics, general surgery. Nutritional counselling services are also provided in this clinic. The investment required to start Apollo Clinic franchise is around 2.75 crores. This is inclusive of the equipment, furniture and interior designing, air conditioning, software cost, working capital margin, contingency funds, license fee and other Preliminary expenditure. The project will be funded in 1:1 equity-debt ratio, which is taken for 4 years with a year’s suspension. Loan facilities are also provided by State Bank of India. The expected turnover in one year is 1 to 1.5 crores which are relative to the location of the hospital. These figures are generally doubled by the fourth year of start up and huge profits are expected. It is expected from the franchisee to have good business knowledge to start Apollo Clinic franchise. This is essential because the franchisee must know how to properly manage the health facility centre so that the business prospers. Minimum land requirement for Apollo Clinic franchise is 4000 square feet. For starting an Apollo Clinic franchise you need to check out the official website of Apollo Clinic, www.apolloclinic.com. From here you must go to the page /franchise where you will find the franchise form form.aspx page. You can fill the form and submit online or you can download it and send it via email after filling it to the following address. For any queries you can contact on the following number or drop an email at the following email id. Have you always dream of opening the classic Royal Enfield franchise dealership? It is one of the most prestigious bike companies across the globe. Learn all about the cost, investment, royalty fees, land requirements as well as the franchise fees that are required to start a Royal Enfield franchise in India given in the following article. What makes Royal Enfield motorbike franchise dealership a profitable business in India? Royal Enfield is has a vast market in India with 180 dealers all over the nation and around 100 authorised service centres. It is a reputed automobile company which has its roots in England and their business is spread all over the globe in major countries like USA, Japan, UAE, Germany, UK, France and many others. 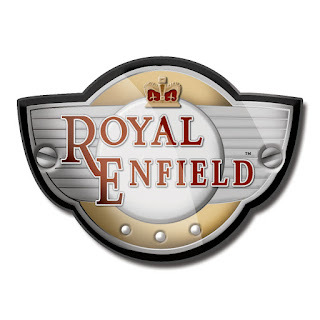 Royal Enfield has a popularity that does not require marketing. They have a business model that is success oriented and they have proved it in the past 120 years. Therefore, investing in a Royal Enfield franchise can get you great returns and equity besides the good business it always results in. The area requirements for Royal Enfield franchise dealership in India are round about 4000 sq ft. The cost of starting the franchise will differ with the locations you choose. Keeping the variation of land cost aside, the lump sum amount required to start a Royal Enfield franchise dealership will be from 50 lakhs to 1 crores. There is also a franchise fee that is excluded from the above investment cost, which is 1 lakh rupees. The company also applies royalty fees of 5% of the gross sales per month. The Royal Enfield franchise has designed various support groups to advice and guide new businessmen about all the details of running the franchise. This includes queries, stock, branding and customer service. They also provide marketing support so that the new owners can launch their business in the market and start getting good returns. The support groups also help in selecting site for the showrooms and provide field assistance too. The training goes on in Chennai and Chandigarh. To apply for a Royal Enfield Franchise dealership all you need to do is visit the official website www.royalenfield.com and click on the ‘become a dealer’ link from the footer. Then a page /support/become-a-dealer/ , opens up where you can find an international performa for Royal Enfield dealership application form. You can select the country, state and city from the options that are provided. You will also have to submit your contact details, postal address, email id, etc. so that the executive team can contact you whenever they review your application. They also ask details about your current business. Consider it as an employment letter so make sure that whatever you write impresses the person who is reviewing it. Leave the rest to the management. If they find your application suitable they will get in touch with you.